Hilary Green of Cowgirl Creamery created her bite using Cowgirl Creamery Hop Along on Dried Green Apple with Cider Onion Confit & a Buckwheat Crepe Crumble. The cider used in her Cider Onion Confit came from AppleGarden Farm, a long-time participant in the California Artisan Cheese Festival. Jane Bruce of DTLA Cheese created her bite using Sierra Nevada Cheese Company Capra Bianca served on a Honey Almond Crisp with Avocado Blossom Honey, California Almonds, Blood Orange Zest & Beurre le Baratte. Judges were impressed with the way her bite complimented the cheese. Stephanie Foss of Whole Foods Market, Sebastopol created a delicious bite using Beehive Cheese Teehive Earl Grey Rubbed Cheese on a Homemade Earl Grey Biscuit, Homemade Orange Marmalade, and Candied Orange. Stephanie served her bites with sips of Korbel Champagne! Guests at Cheese, Bites & Booze! sent in their votes for Best Cheesemonger Bite and the big winner was Jena Piciullo of Nugget Market, Sacramento. Jena made a bite with Nicasio Valley Cheese Company San Geronimo paired with a Marcona Almond and hand-wrapped in Prosciutto di Parma. It was dusted with Maple Sugar Crystals and freshly diced Jalapeños, placed on 1/2 of a Dried Fig and bruleed with a torch. 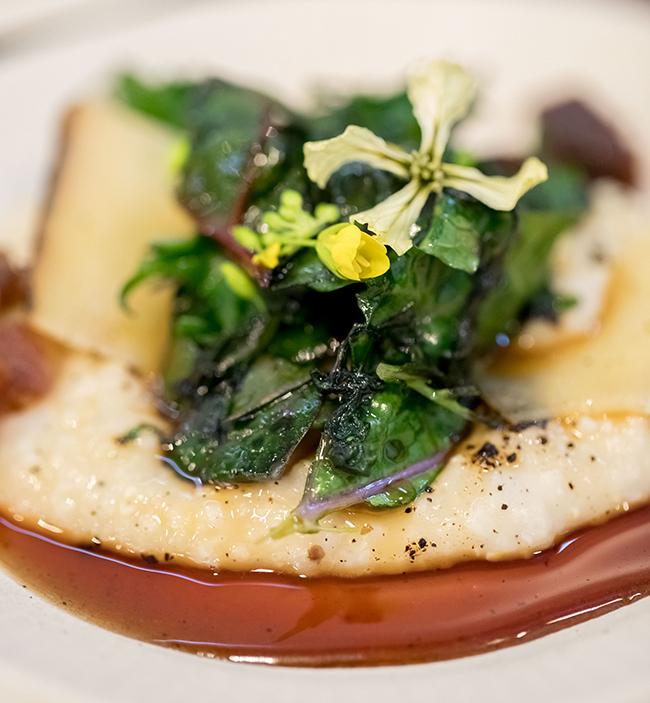 Chef Nic Jones of Goose & Gander in St Helena impressed our Judges with his dish made with Beehive Cheese Barely Buzzed Cheddar Grits, Perigord Truffle, Maple, Farm Greens, and Pancetta. Beautiful and a great complement to his featured artisan cheese! 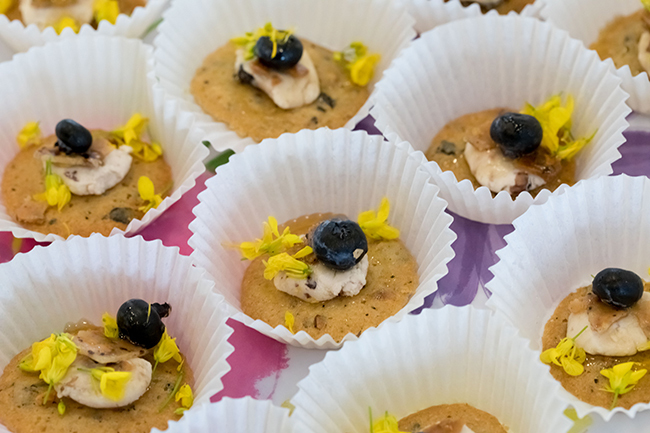 Our guests were impressed with the sweet dish created by Chef Larry Willis of The Gables Wine Country Inn: Pennyroyal Farm Blueberry Laychee on an Almond Cookie with Crème Fraîche and Local Honey.